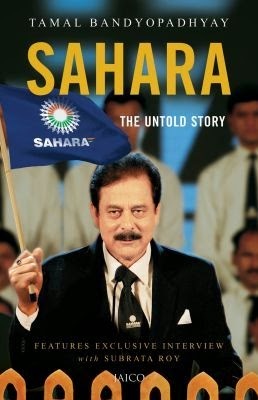 Sahara: The Untold Story is based on painstaking research to demystify India's most secretive and largely unlisted conglomerate, the Sahara India Pariwar. It also delves into the group's ongoing legal battle with the market regulator. Entrepreneur Subrata Roy, the guardian angel of the group, whose feet are touched by everybody in the Pariwar, wants to reach out to a million lives and feels impeded and shuttered in by regulations. So the clash with the regulators was inevitable. But when a regulator slams one door, maverick Roy opens another. This play has been on since 1978, when Sahara was set up. Roy is well known for glamour and his association with film stars, cricketers and politicians. He exudes patriotism, with a statue of Bharat Mata (the presiding deity of the group) on a chariot driven by four fierce-looking lions adorning his headquarters in Lucknow. He is the Robin Hood of a country where only 35% of the adult population has access to formal banking services. This India and its millions of illiterate poor depositors stand in awe and admiration of him. But does he also exploit them? Do these poor people actually keep money with him or are they fronting for others? 'The book at best can be treated as a perspective of the author with all its defamatory content, insinuation and other objections, which prompted us to exercise our right to approach the court of law in order to save the interest of the organization and its crores of depositors and 12 lakh workers. Tamal Bandyopadhyay is the Deputy Managing Editor at a financial daily, Mint. After completing his post-graduation in English Literature from Calcutta University, Tamal began his career with the Times Of India, Mumbai as a trainee journalist. Later, he worked with the Economic Times, The Business Standard, and Financial Express. He is also the author of two other books, A Bank For The Buck and Anupam Meenrashi. Having worked for one of its companies I picked up this book with a lot of mixed feelings. I have always learnt in life to respect the one who is above you or ahead of you in the race for the matter of fact that they are there because of some reason. The reasons could be bad or good, that is secondary. Primarily they command respect and that is what is always given to Saharashri as he is loving addressed as. The author has done a lot of research in getting to the roots of the large banyan tree called the Sahara Parivar and it shows in all the numbers and facts presented therein. The book was under legal dispute for a long time and finally it came to an end with the release of the book. Everytime I have come across someone who has worked in this industry they all have always held him in high regards for all that he is today and yet had only one question – no one knows from where he made all that money and that is the only thing that creates doubt in anyone’s mind. I have seen the SFCL’s employees be ready to lay down their lives for him, such is the dedication and respect that he carries. I am sure none of the corporate head-honcos can boast of such strong following amongst their employees or claim such impeccable loyalty. It is truly admirable and speaks volumes about the work he must have done to make such a strong, irreplaceable place in their hearts. Having said that I did read the mind with a very open mind, without any preconceived notions about anything at all and I would advice all of you to do that only. This will help you see things the way they are rather than have a mishmash of your beliefs and the author’s beliefs. I have a lot of questions from my own experience and after reading this book those questions have just increased manifold. I enjoyed reading this book for I was curious to know about the journey till here which not many know about. Appreciate the author’s efforts in bringing together so many facts and making it one remarkable book. 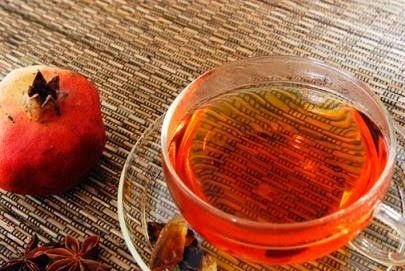 This book is like pomegranate tea, something that not all relish but yet something that has a unique taste of its own.